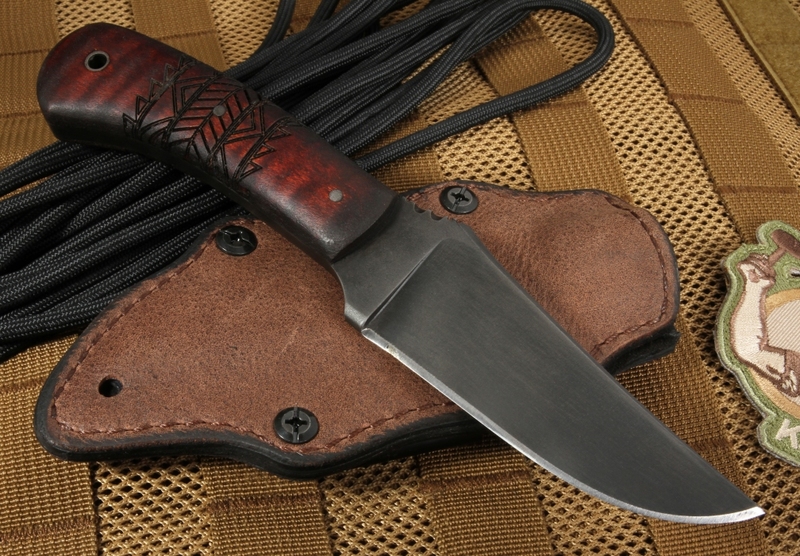 The Winkler Blue Ridge Hunter is a new introduction from Daniel Winkler Knives. Hand-forged in the traditional manner, this knife is a lighter version of the popular Winkler Belt Knife. It's slightly scaled-down design allows you the option of carrying it either vertically or horizontally. 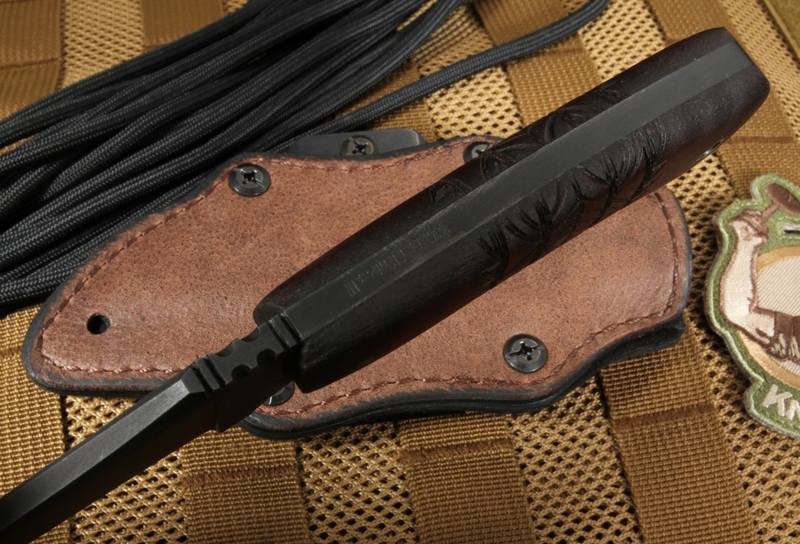 Designed specifically for hunters, this knife offers the reliability and durability you need in the field. 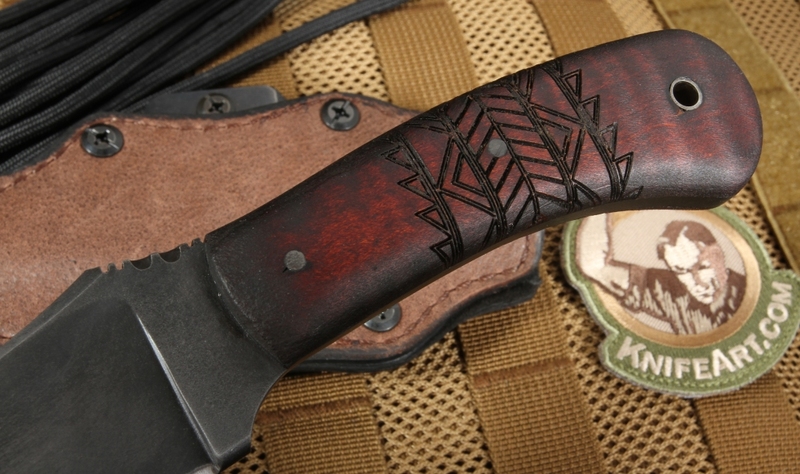 Like all of this skilled bladesmith's designs, this knife melds inspiration from America's frontier past with the cutting edge quality demanded by our Special Forces teams. Daniel has been crafting quality knives since 1988, so he has the experience to back up his innovative designs. This particular model weighs just 5.9 ounces - small enough for comfort but large enough to get the job done. The 4" blade on the Blue Ridge Hunter is made from tough, 80CRV2 carbon steel. It has a black Caswell finish that reduces glare and helps protect the blade from rust. The blade's drop-point shape means it will work well across a wide range of uses and its flat grind makes it easy to sharpen. 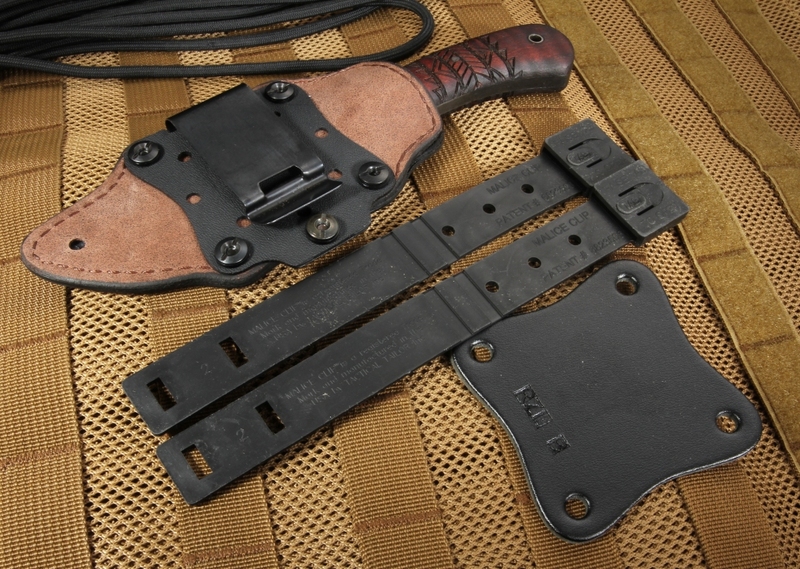 Because this knife was engineered with balance in mind, it feels comfortable in your hand even when used for something like field dressing game. This knife also incorporates an integral guard and a filed thumb rest on the spine to improve your grip and add a measure of safety. You'll appreciate the quality of the premium solid maple handle that is custom-made in the U.S.A. The full tang handle has been skeletonized to reduce the knife's overall weight, without compromising its balance. 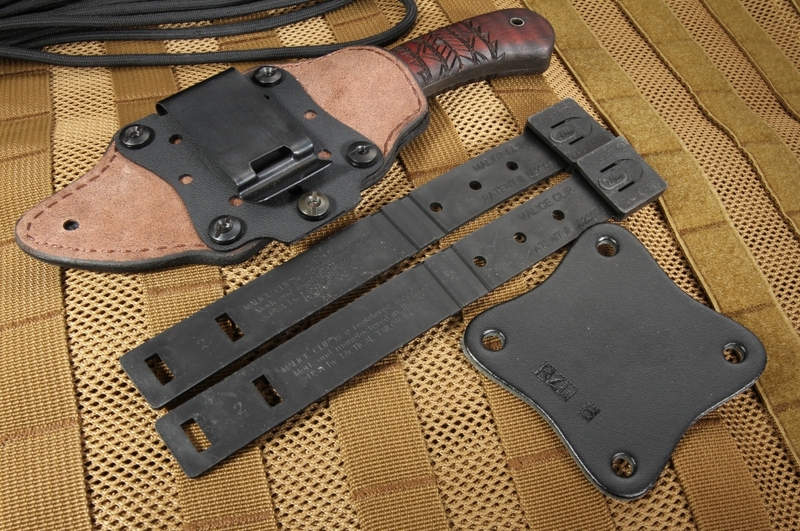 There's also a lanyard hole to reduce the chance that your knife will go missing in the field. Since the lanyard hole is in the base of the handle, it offers an additional option for safely carrying the sheathed knife. Your new Blue Ridge Hunter will come with a custom-designed Kydex sheath that is lined with felt and offers multiple carrying options: a leather multi-angle attachment, metal belt clip, and rubber loop for carrying it inside your waistband. Rest assured that when you purchase your Winkler Blue Ridge Hunter from KnifeArt, you'll be getting a brand new, never used knife from an authorized dealer. The workmanship, fitting and finish are wonderful as always. Edge was polished razor sharp. 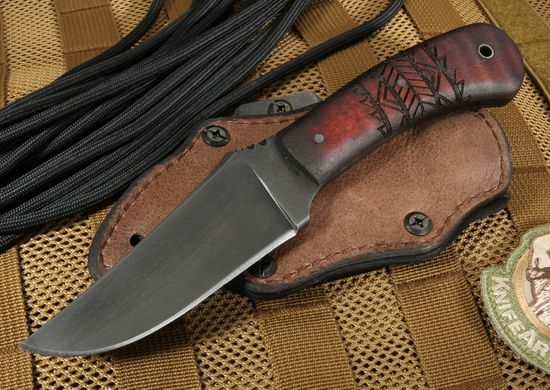 This piece is my hiking knife; I already had a vintage Gerber Magnum for hunting. This beauty is great for horizontal carry, handsome as all get out and extremely well made. Merry Christmas to me! Make some more . . .